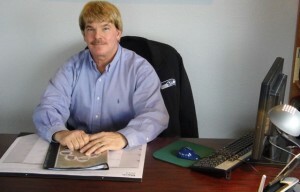 Tony Ward, owner of Lasting Touch Memorials, has over 30 years of industry experience. Tony Ward, owner of Lasting Touch Memorials, is a big proponent of planning ahead. He believes that preparing for “the end” saves your family and loved ones unneeded worry and stress. Ward believes that choosing a memorial is an important step in how you are remembered. “Generations from now people will know who you are,” says Ward. Do you have a favorite color? Do you have a hobby? A little forethought means your monument will be an accurate representation of you. A memorial is also helpful in the immediate. “A lot of times a person will die but there’s not closure until the marker goes on the grave,” says Ward. The days and weeks following a death are difficult. Picking out your memorial in advance is one less thing your loved ones have to deal with. They can spend that time focusing on recovery. A conversation with Lasting Touch Memorials helps you work through delicate issues and decisions.